Performance Friction Brake Pads have quickly become a great alternative for other brake manufactures. Front set of big brake callipers with 328mm diameter rotors to fit all Elise and Exige with 17inch aftermarket front wheels fitted (e.g. Pro-Race 1.2). Not for use with standard wheels. AP Racing 288mm vented brake rotor for use with our GT Bell and Rotor system. Includes bolt-kit. Cross-drilled or slotted versions in fitments for Elise S2, 111R, Exige S2 and 2-Eleven. AP Racing 290mm vented brake rotor for use with our GT Bell and Botor system. Includes bolt-kit. Cross-drilled or slotted versions in fitments for Elise S2, 111R, Exige S2 and 2-Eleven. 308mm replacement rotor for AP Racing Big Brake kit - slotted type. Fitment: All cars with AP Racing Big Brake kit. Includes replacement bolt kits. Pagid RS-42 (Blue) Direct replacement brake pads for fast road and track day use. Excellent first-bite performance when cold. Pagid RS-42 (Blue) Direct replacement brake pads for fast road and track day use. Excellent first-bite performance when cold. Fitment: All cars. Stainless steel brake hose kit with is a direct replacement for the original hoses. 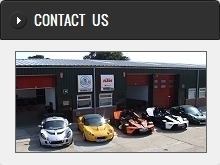 Fitment: All Elise, Exige, 340R and 2-Eleven and VX220. Competition brake pads from EBC. Designed for fast road, track and race use. Fitment: All Elise, Exige 340R and 2-Eleven. Direct replacement brake pads from EBC giving excellent performance on the road. Not recommended for track use.